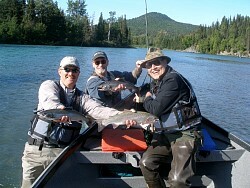 This was our 4th year with Tom Lessard. 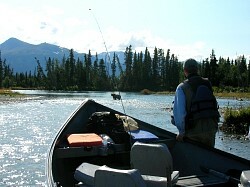 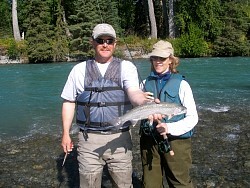 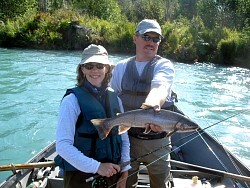 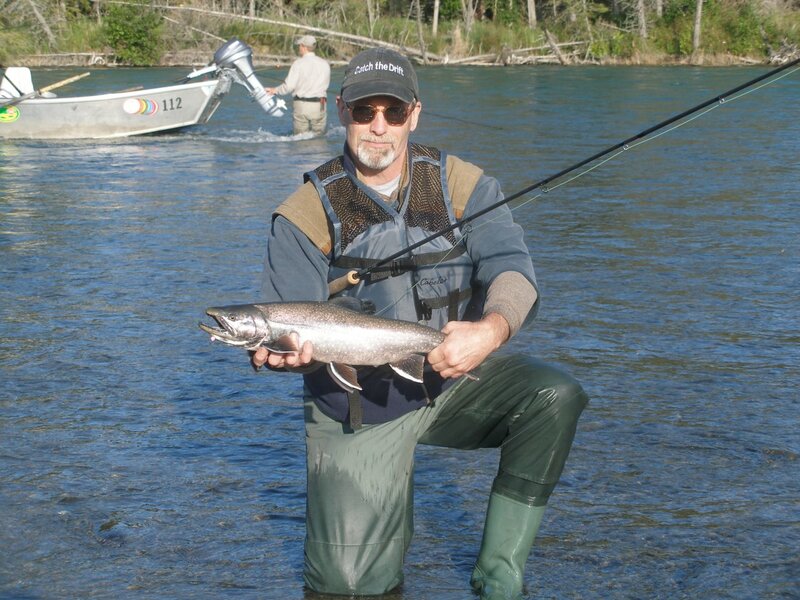 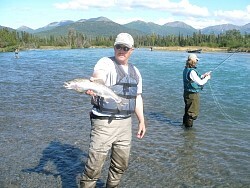 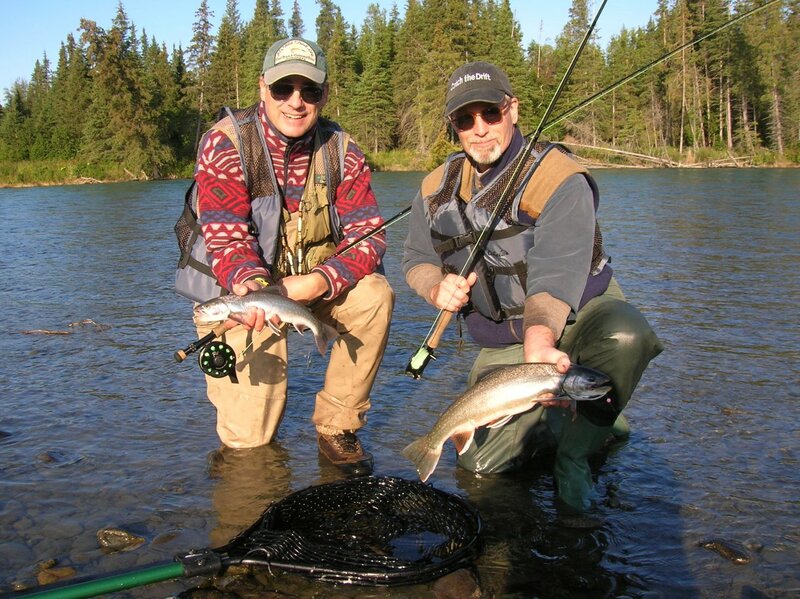 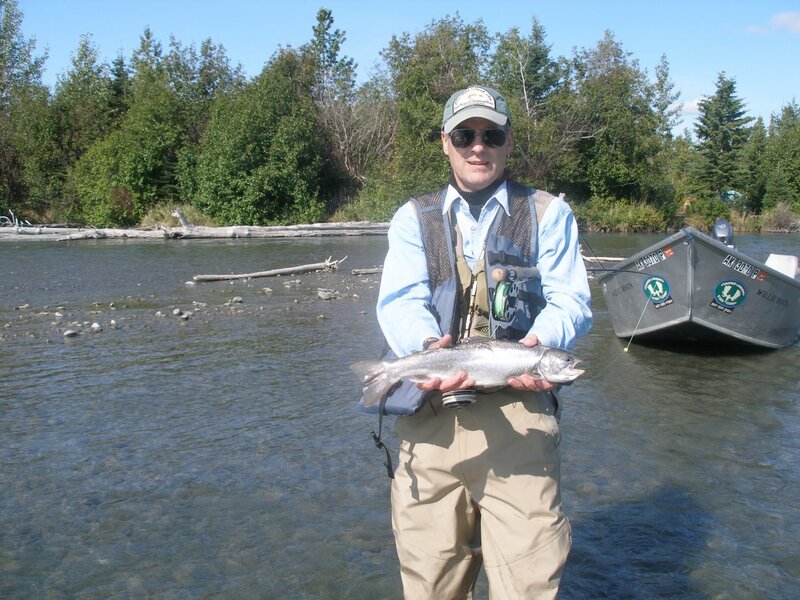 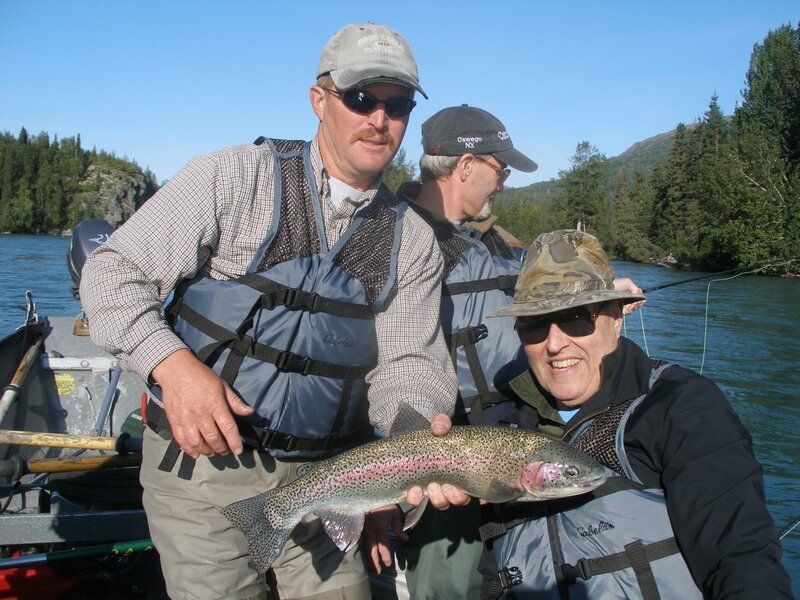 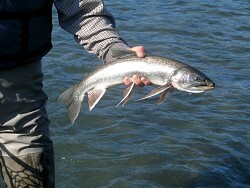 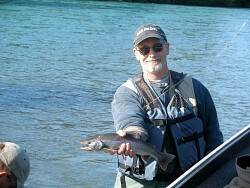 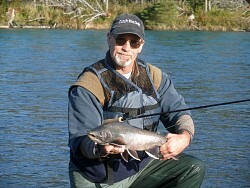 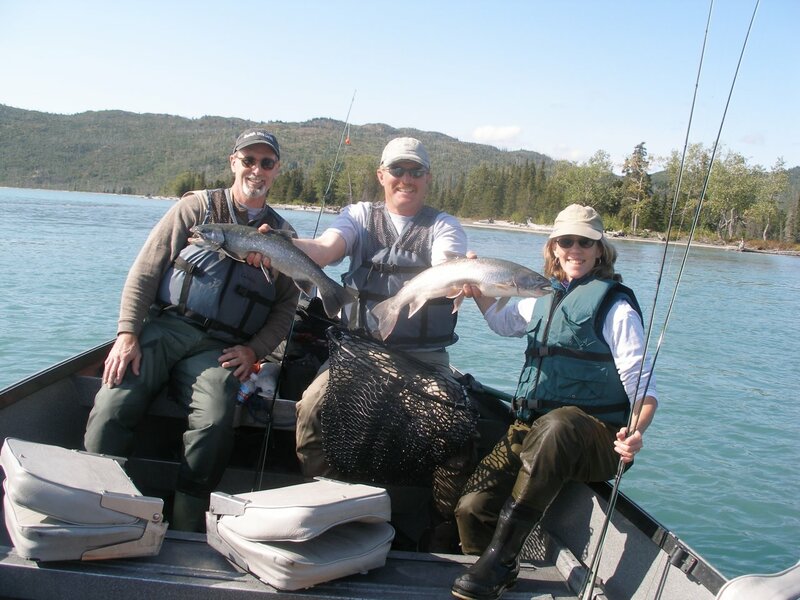 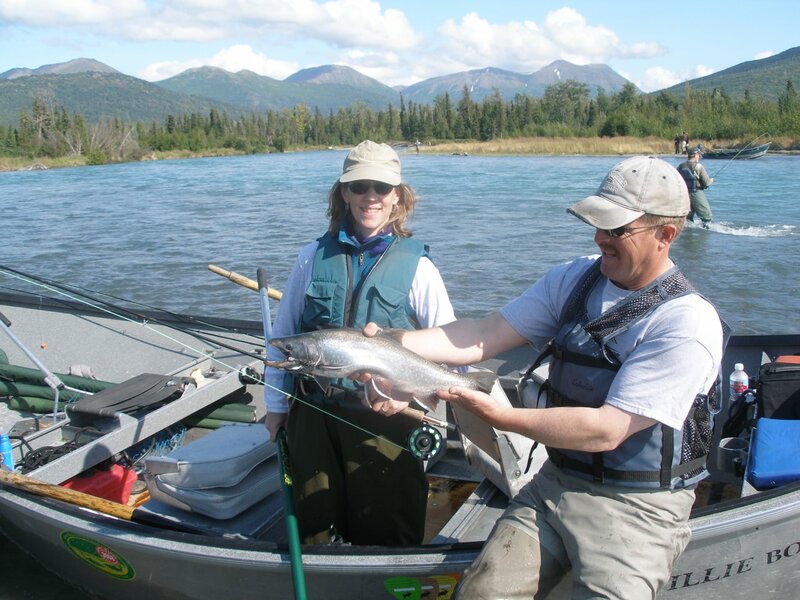 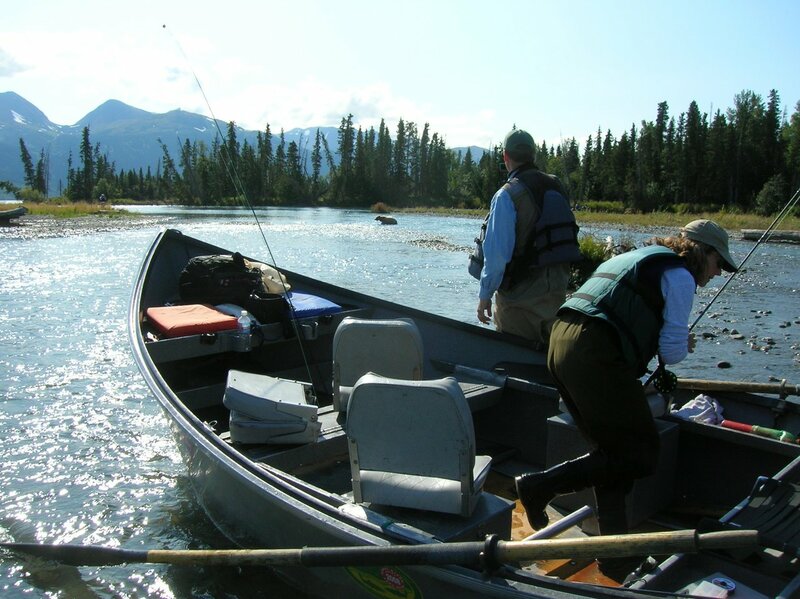 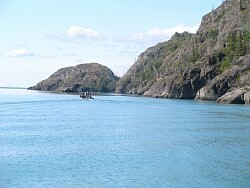 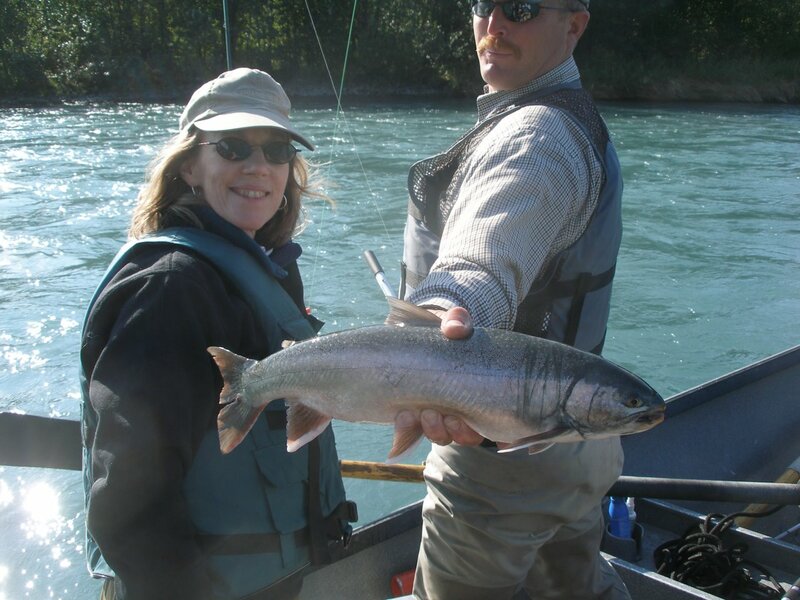 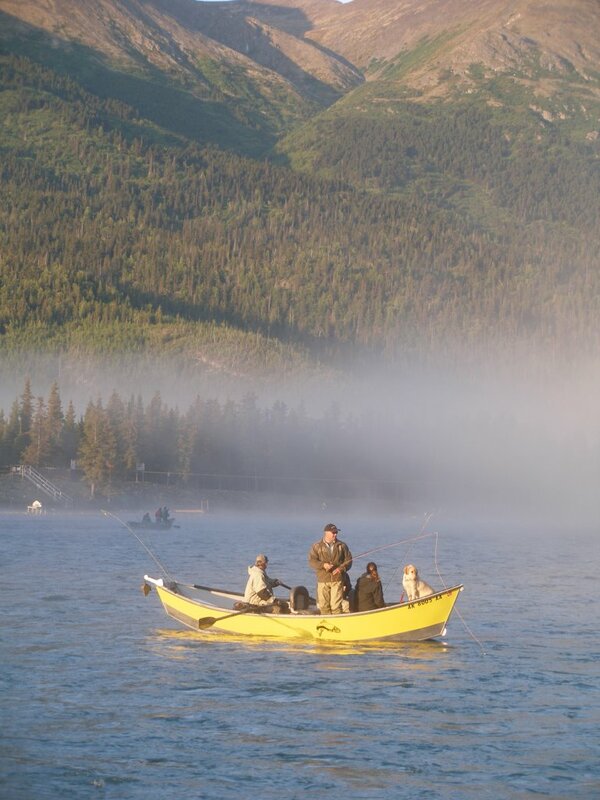 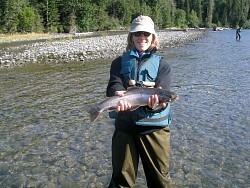 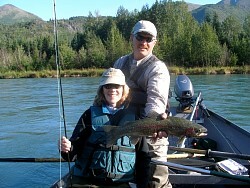 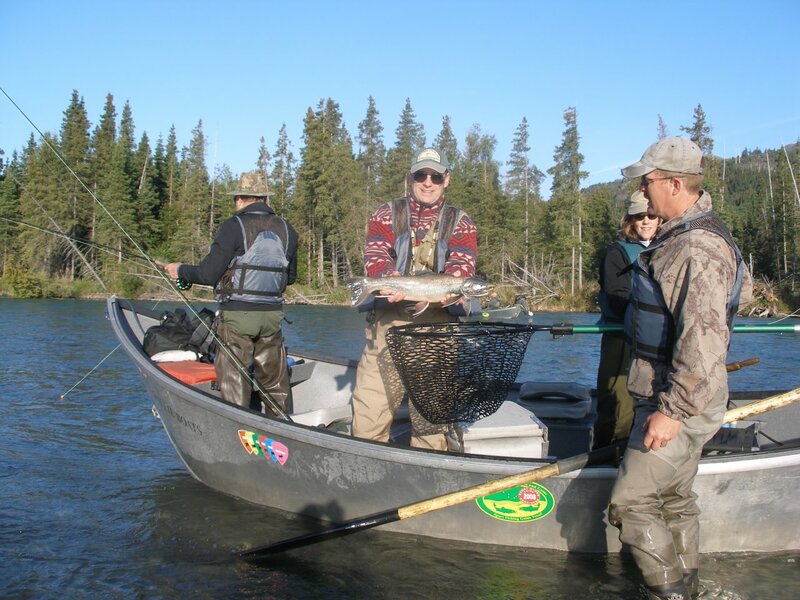 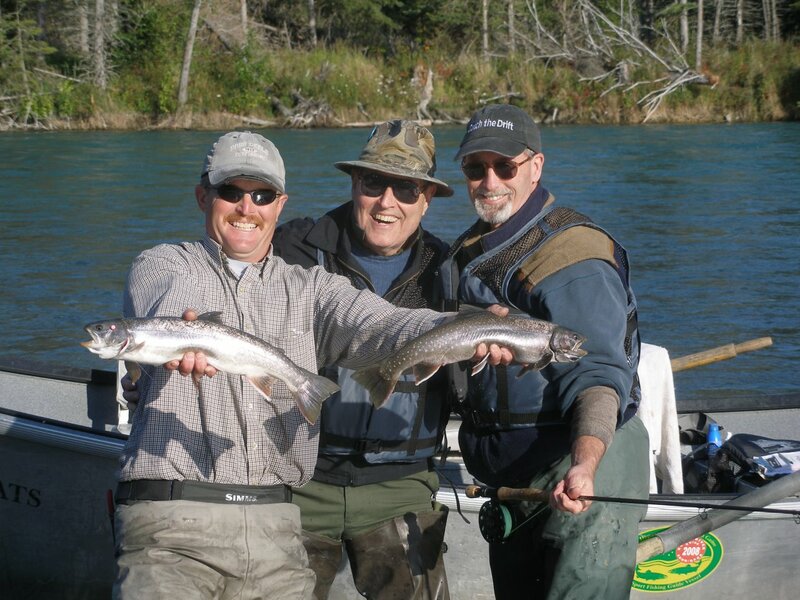 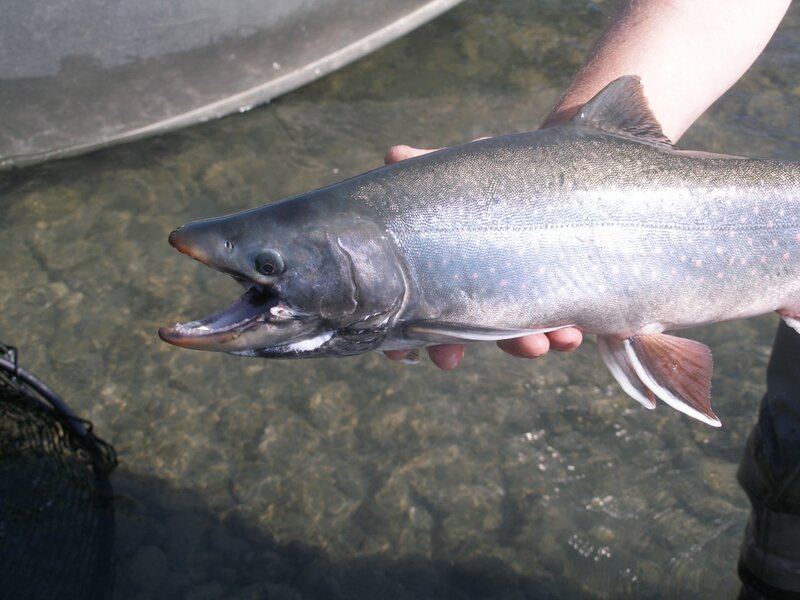 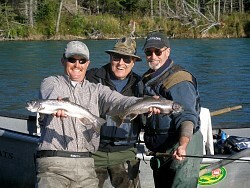 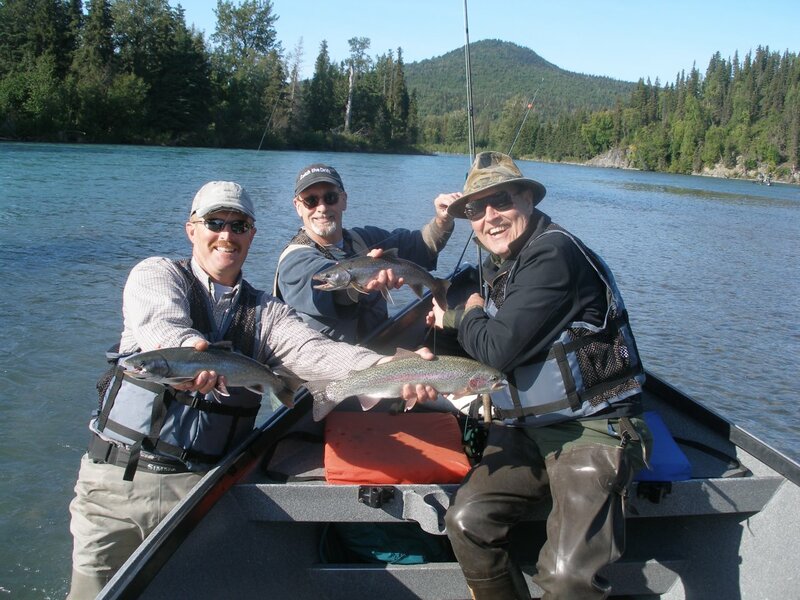 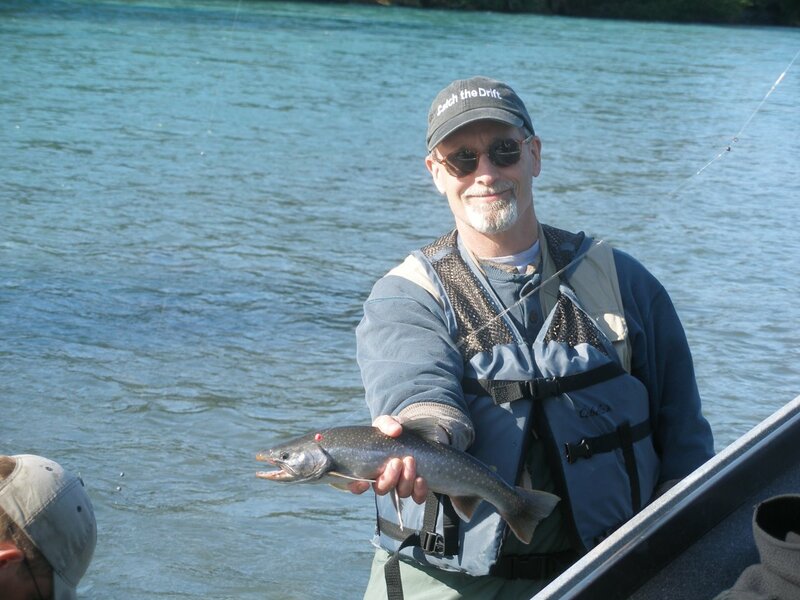 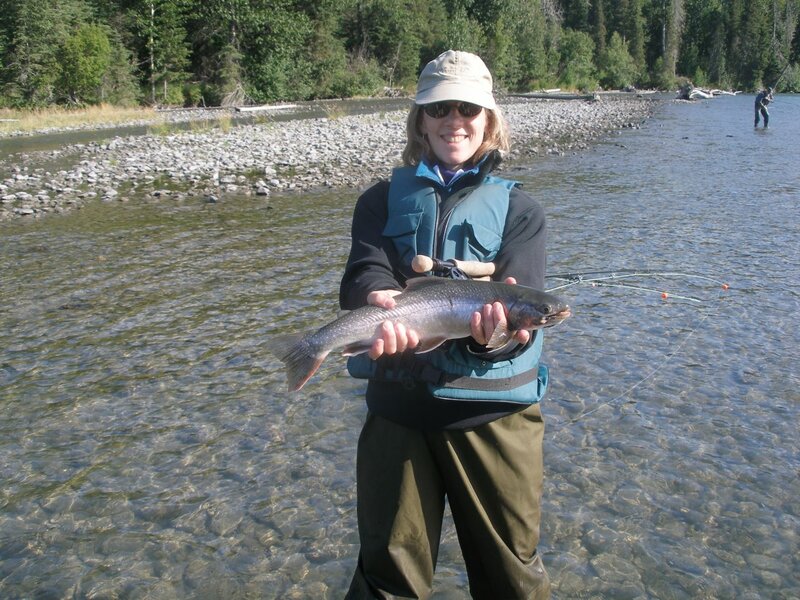 We had a great float on the Kenai down thru the "canyon" area just above Skilak Lake. 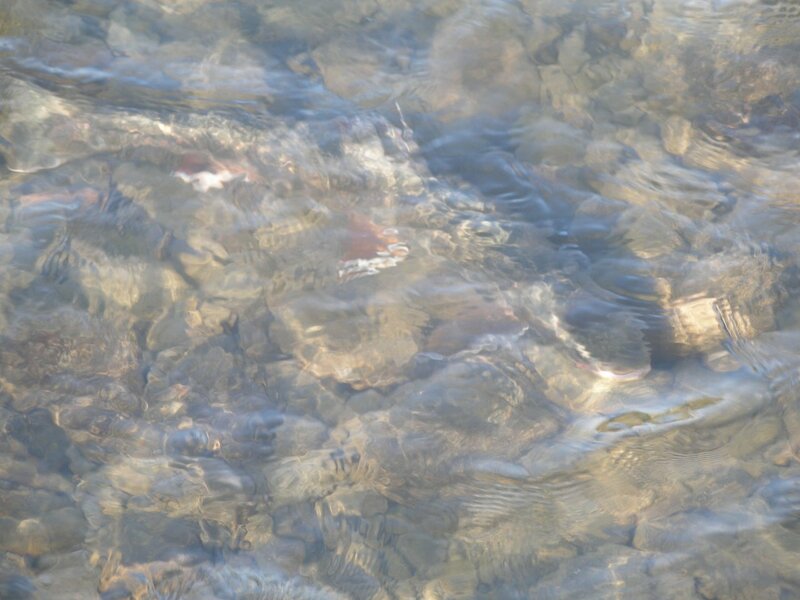 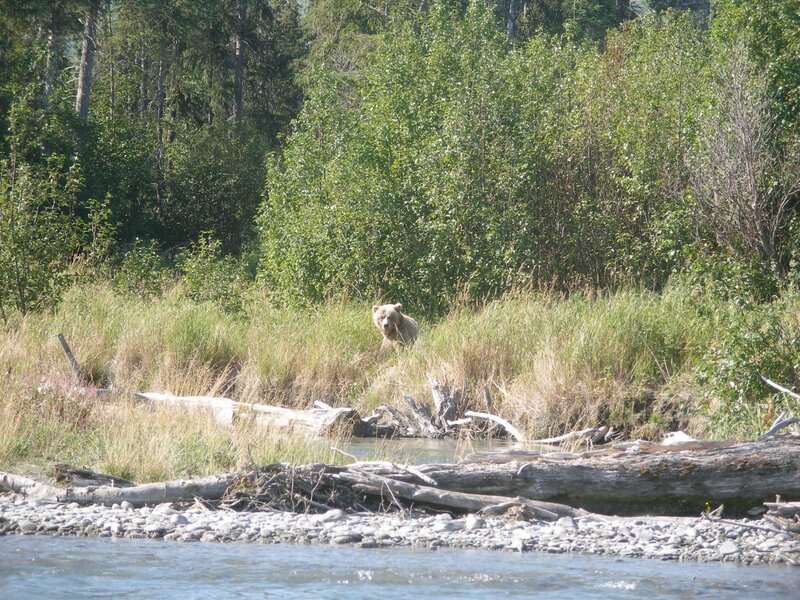 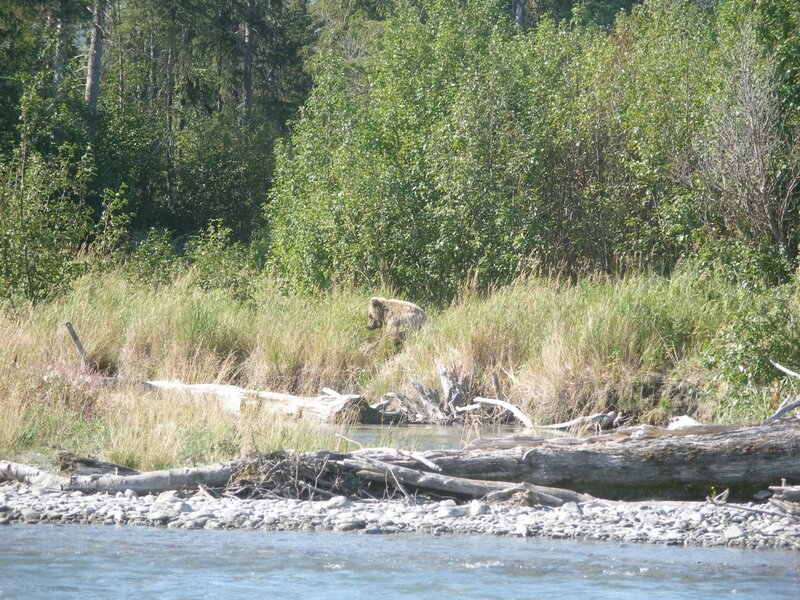 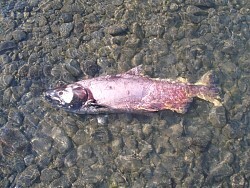 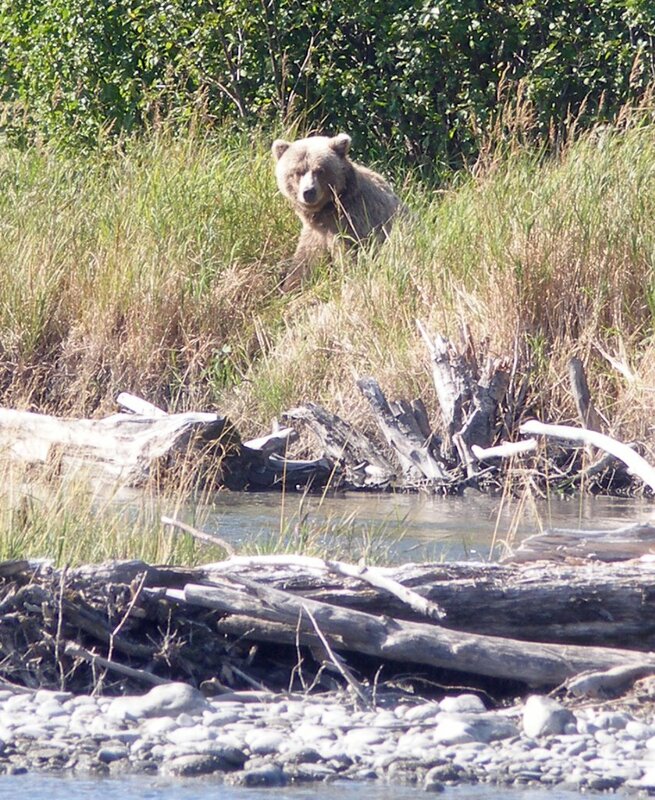 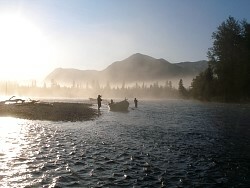 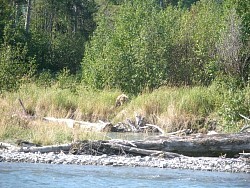 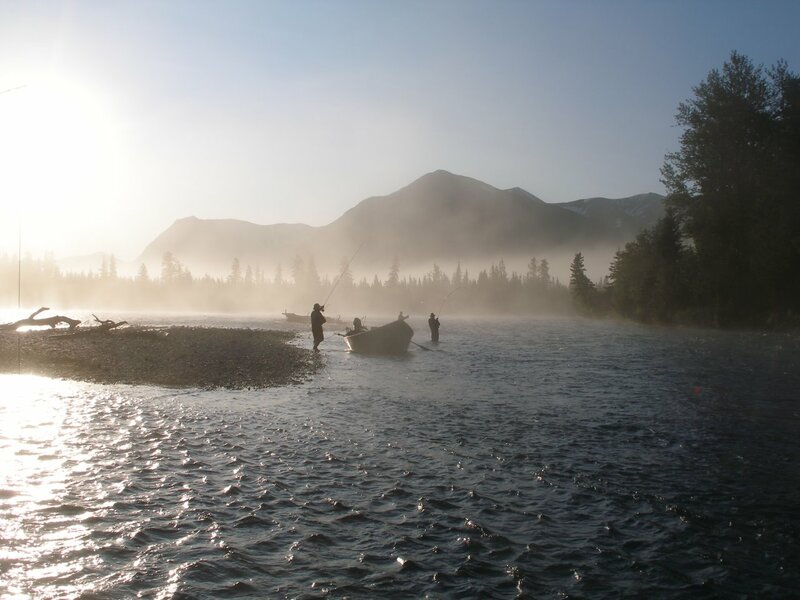 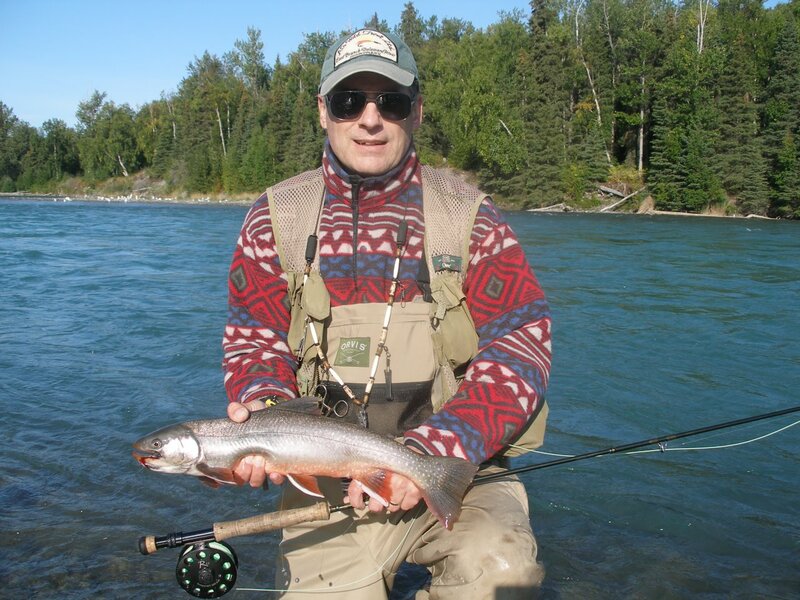 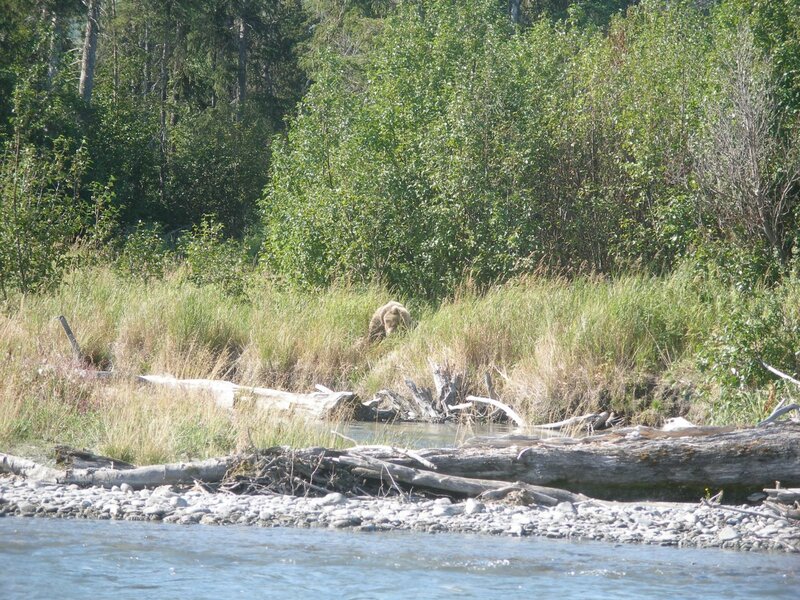 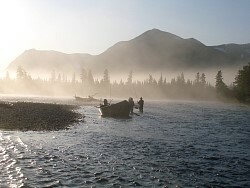 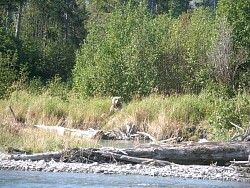 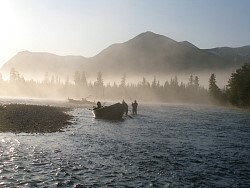 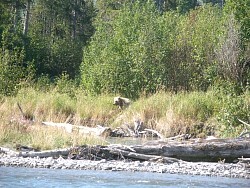 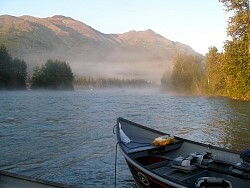 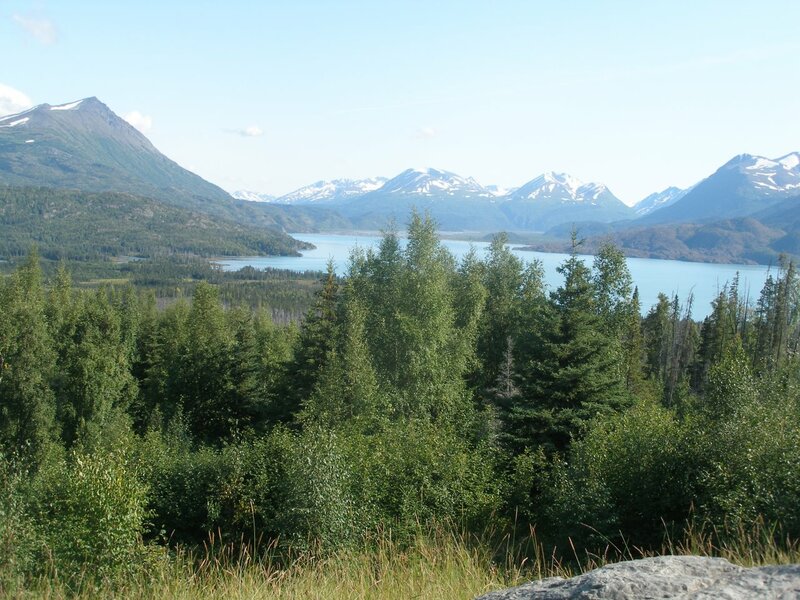 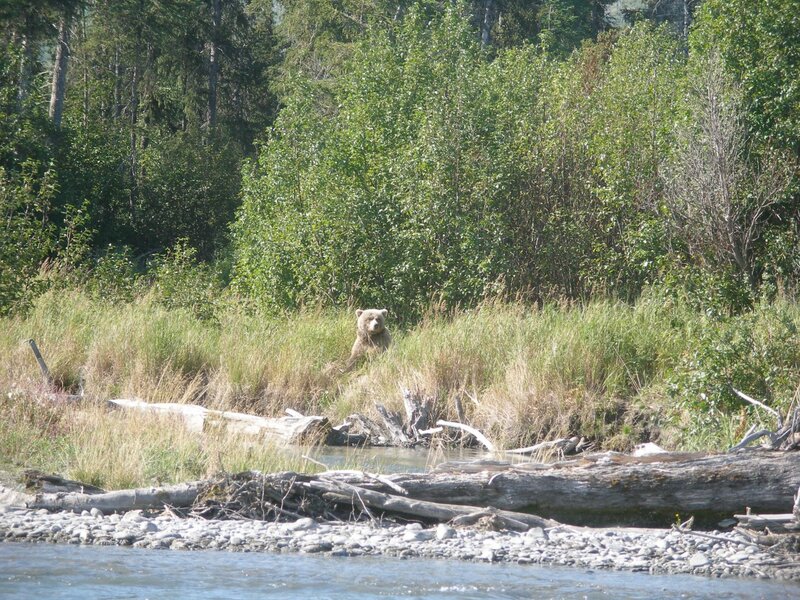 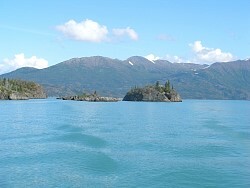 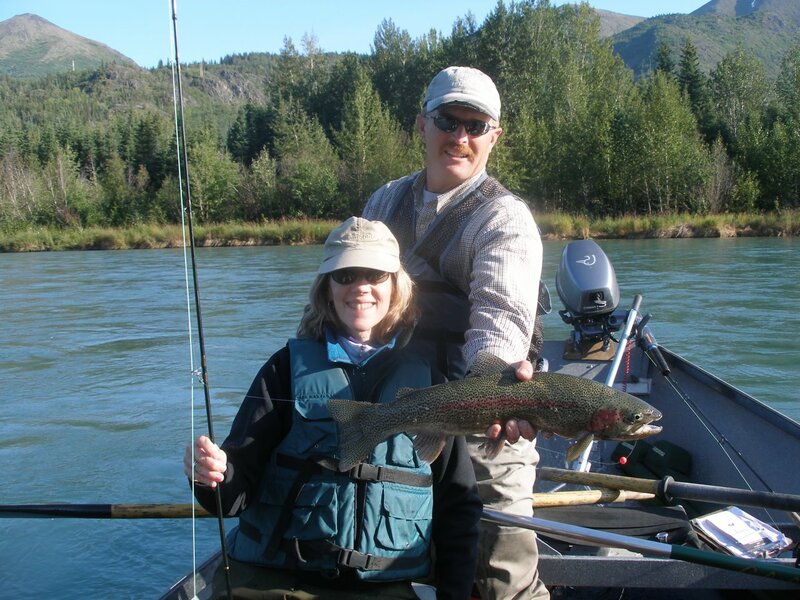 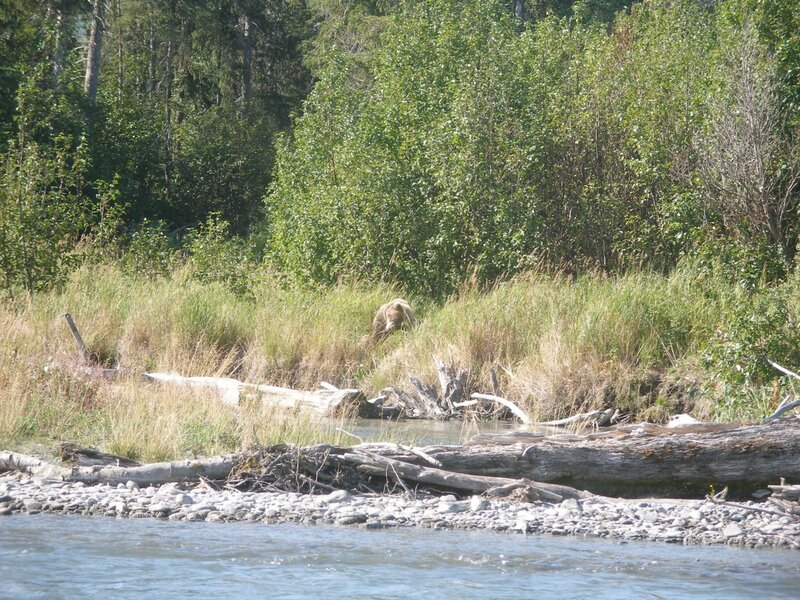 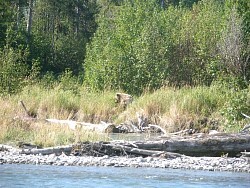 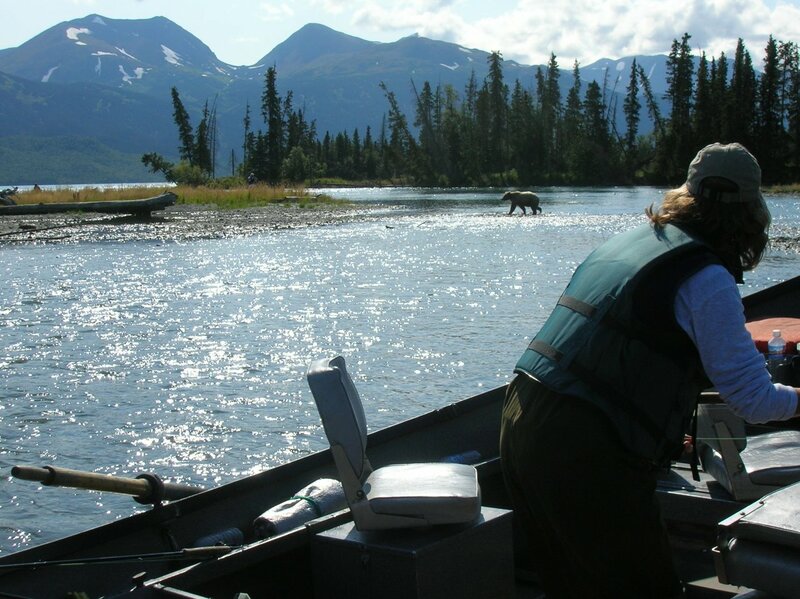 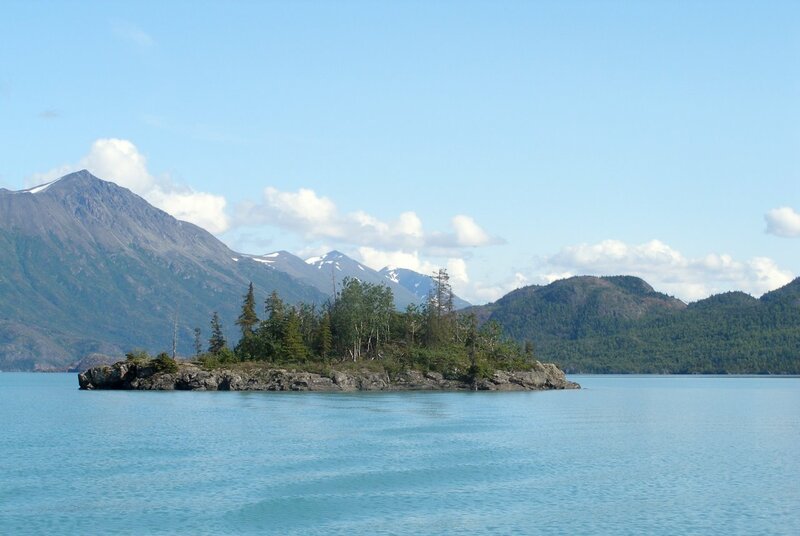 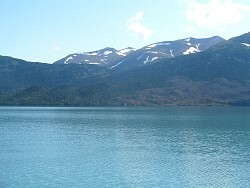 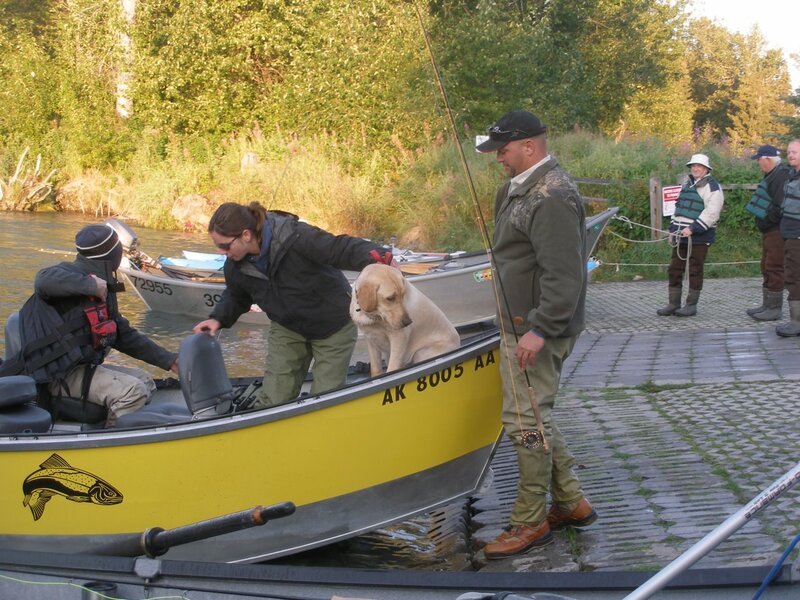 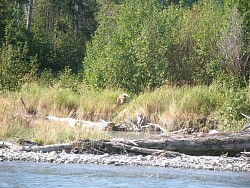 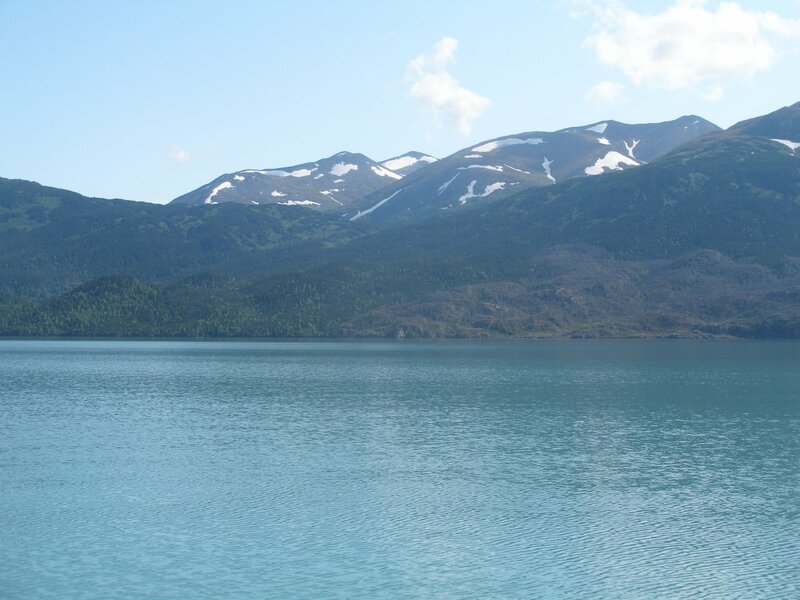 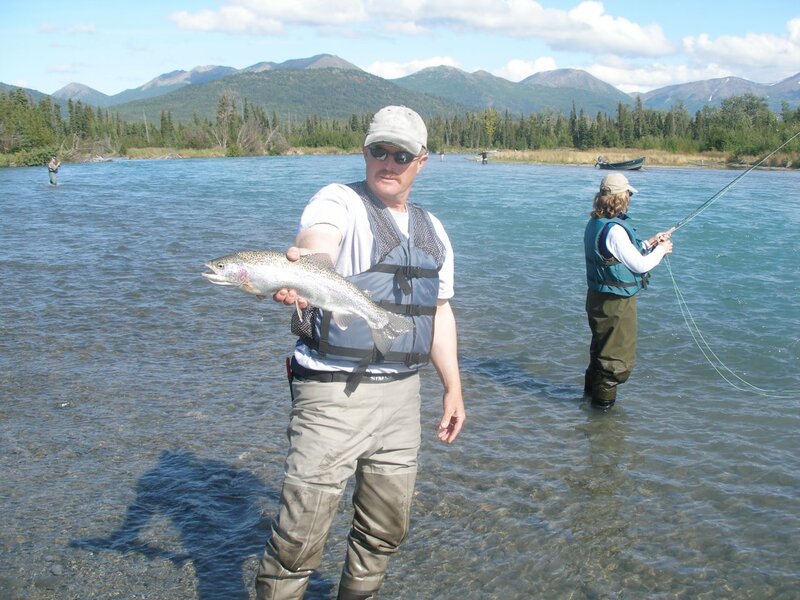 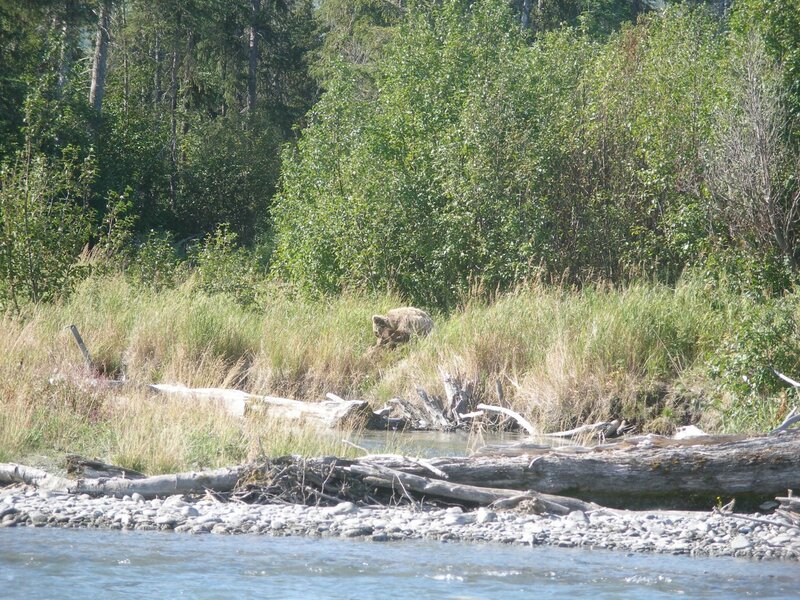 We watched yet another brown bear cross the Kenai, just above the lake, as if it was nothing. 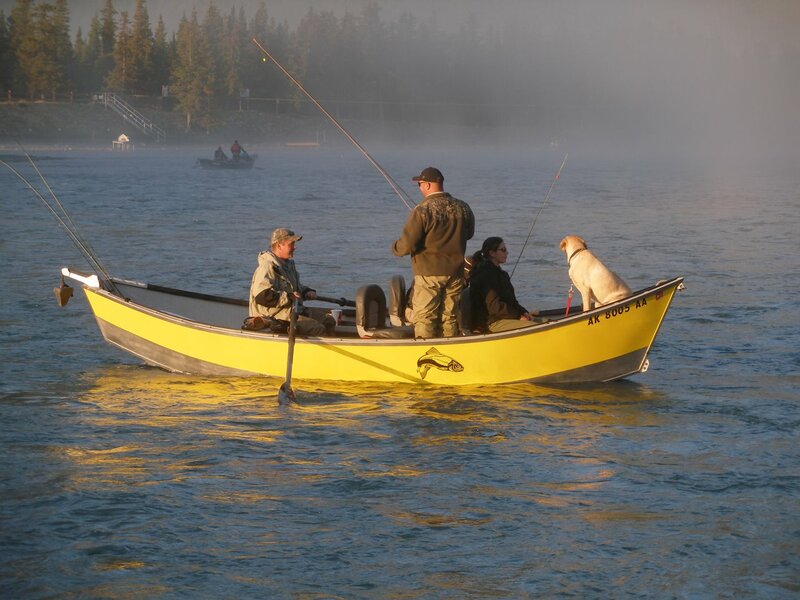 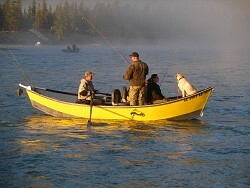 Like always, the fishing was fast and furious too! 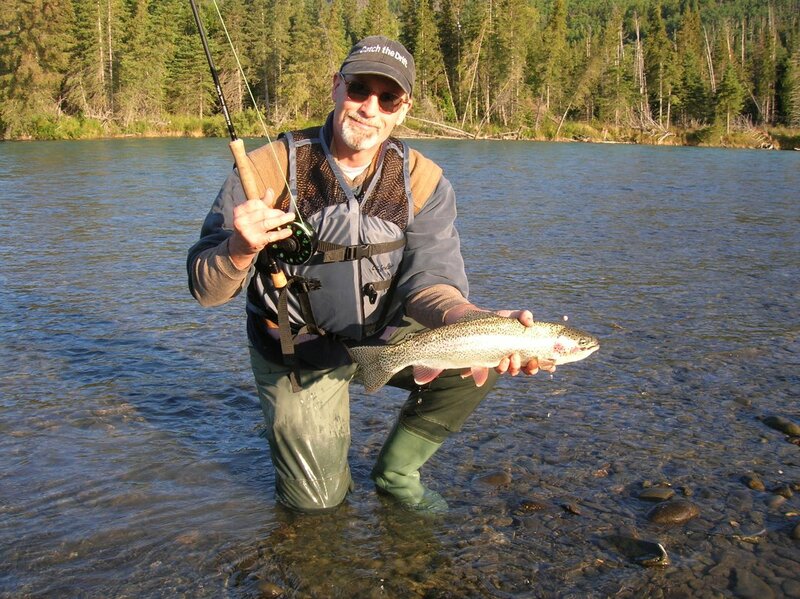 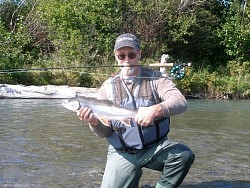 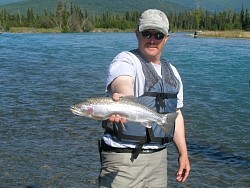 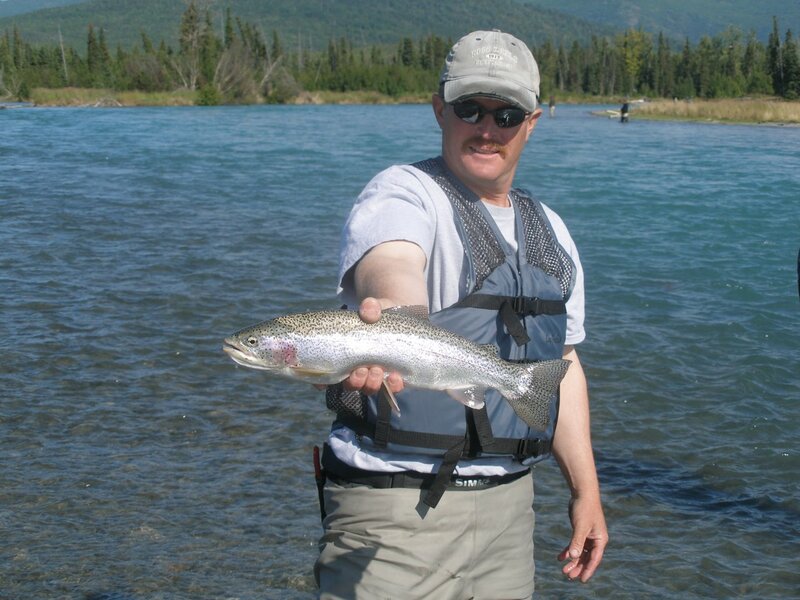 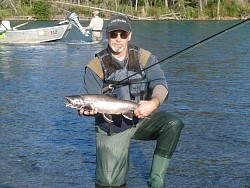 Mostly rainbows and Dollies with a few Red Devils(Sockeyes) tossed in.